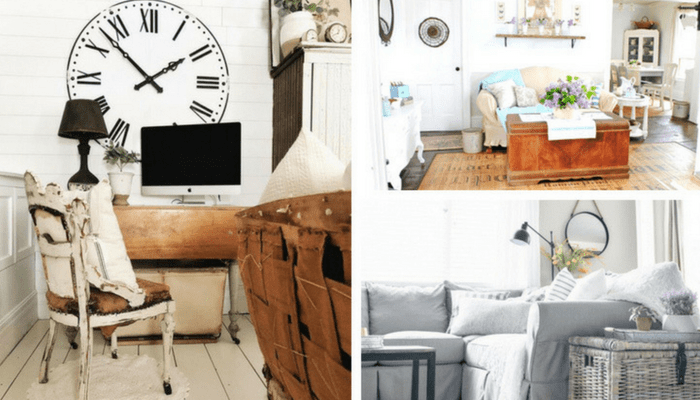 Farmhouse Living Room ideas have taken over my house. From amazing built-ins to new ceiling fans, I’m slightly obsessed. And that’s okay because farmhouse living room ideas are plentiful and perfect for my Southern farmhouse wanna be home. One of my earliest memories is sitting on the living room sofa at my grandmother’s house reading one of those Golden books. I think it was The Pokey Little Puppy! The sofa was cozy and comfortable – the kind you just sink right into and feel instantly at home. Around the room were knick-knacks that she’d gathered over her lifetime – all slightly weathered and worn from years of handling and love. The collection of textures and colors in the room made it a peaceful haven. It wasn’t until later that I understood that the farmhouse style my grandmother had perfected was intentional. 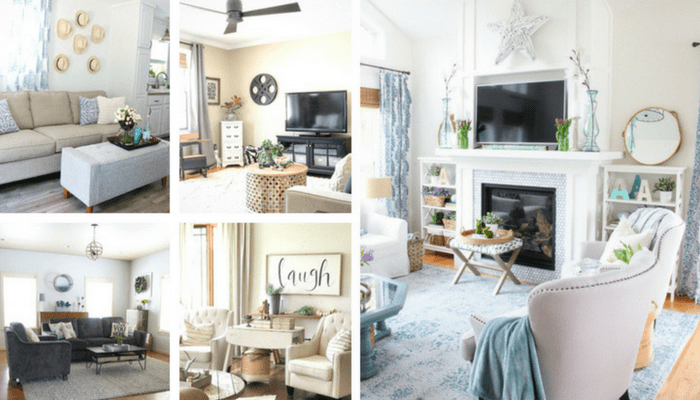 As a mom, the thing that I love the most about a farmhouse living room – and let’s be honest here, an entire house full of farmhouse style! – is that it’s approachable. It just calls for lounging and beckons my family to come together. And while it’s been planned and the decorations are intentional, it’s never pretentious. My kids can stretch out on the wooden floors with the sofa pillows and sip lemonade at the coffee table that’s meant to hold cups of coffee and sweet tea. The farmhouse living room is meant to be lived in, to make memories in, and to build a family in. And that’s just what my grandmother’s farmhouse living room did. 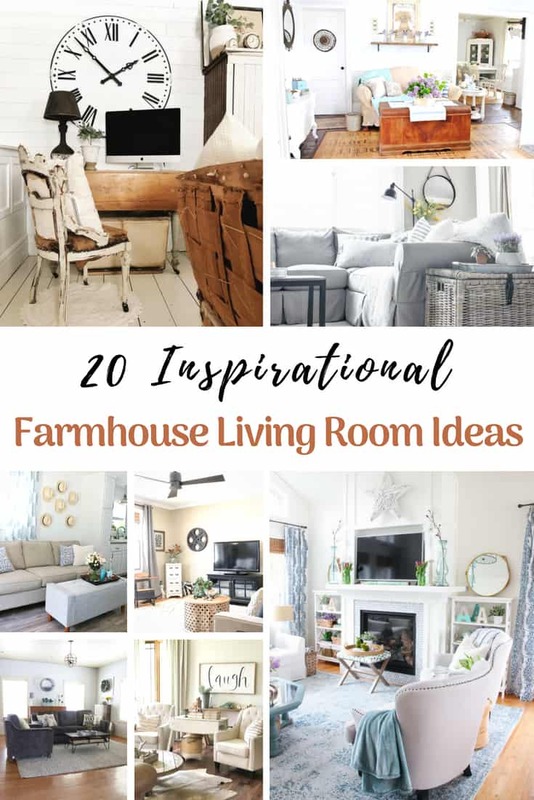 Whether you’re creating a farmhouse living room for your own home or just planning projects for your dream home, the ideas below are perfect for the crafty DIY-er. Not feeling so crafty? That’s okay! With a little elbow grease and some creativity, even the least crafty of us (aka me!) can make some amazing farmhouse decor – or at least decorate the room with air plants and country quilts! Show us your Farmhouse Living Room! Tag us on Instagram @IWishIWasCrafty!